It’s been way too long since I posted a recipe, so here’s one of my favorite cocktail party finger foods. I admit caramelizing onions can be a bit time-consuming, but it’s totally worth it. In a skillet, heat olive oil over medium-high heat. Add sliced onions and cook until they begin to color. Add brown sugar and balsamic vinegar. Reduce heat slightly. Continue to cook onions, stirring frequently until they become very dark and (duh) caramelized. Add the minced thyme, salt, and pepper and cook for a minute or two longer. 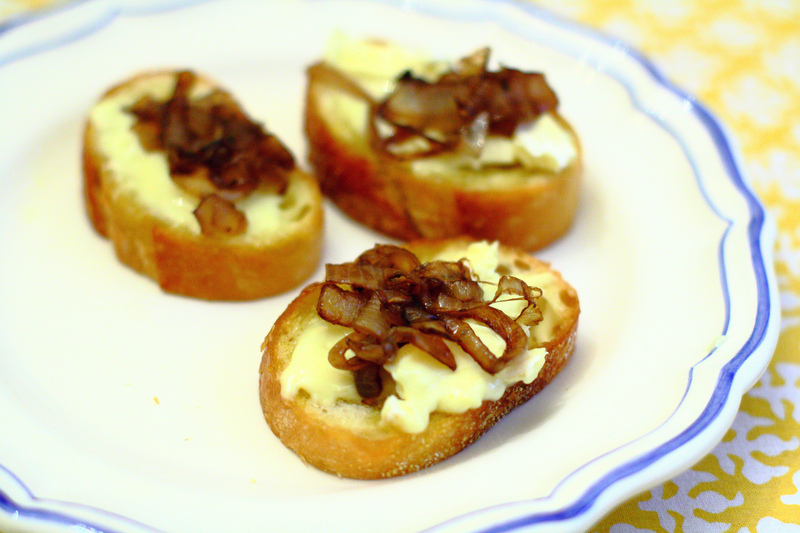 While the onions are cooling, lightly brush the slices of bread with olive oil. Place in the oven for about 5-10 minutes until golden brown around the edges, flipping once in between. 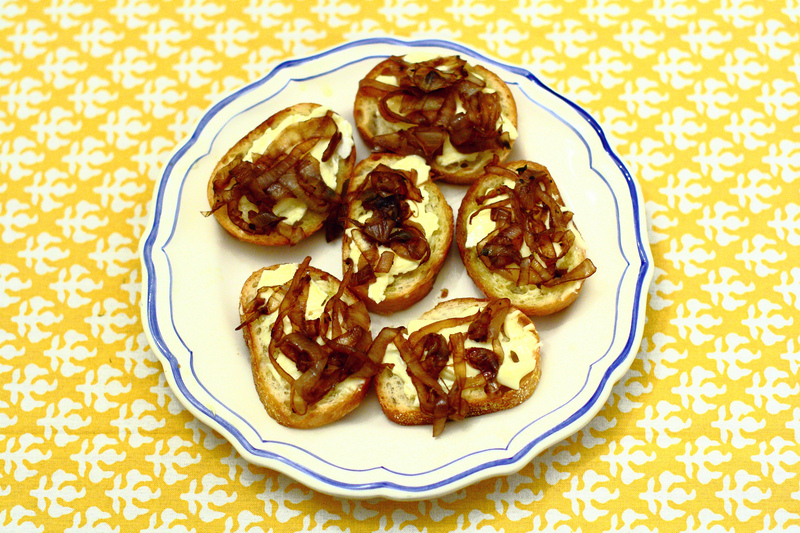 Let the toasts cool for a minute or two before spreading a dollop of goat cheese on each and top with the caramelized onions. Voilà! PS I found this tablecloth on sale at Williams and Sonoma for $12!! Insane, right? Oh I want to eat those right now! Goat cheese? Caramalized onions?! I'm in. What a perfect dish for a cocktail party. And very easy to make too. Thank you for the recipe. OMG yum!!! 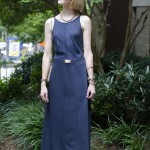 This is perfect for my next cocktail party! Yuummm, this sounds and looks so good! And I'm hungry anyway because today is diet day (after the bbq feast with the neighbours last night). Looks delish!! Thanks for sharing! This looks delicious! I've never made anything with goat cheese, but this looks like a great dish to serve for an outdoor dinner. YUM. There's a goat cheese sold at my local co-op that would be perfect for this. Definitely bookmarking this recipe for future use.